It all went smoothly for Yang Haoran, 18, who triumphed in his home country today at the Youth Olympic Games in Nanjing, China. 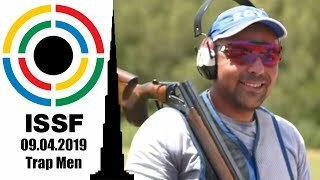 The air rifle shooter, number one ranked in the world and Junior Final World Record holder, met his fans' expectations and swept away his opponents' hopes as he took over Men's 10m Air Rifle with a stunning five-point lead on 18-year-old of Armenia Hrachik Babayan, stuck at 204.3. Hungary's Istvan Peni, 17, came third (183.5). Both Babayan and Peni won their first international medal. Reigning World Champion Yang was glad about getting to celebrate in China. "[Here] People pay more attention to me," he said. That also translated into lots of cheering from the local supporters at the Fangshen Hall, which combined with the background music were at times challenging for Yang. "[It] was distracting," he said. "But I tried very hard to concentrate on the competition, and I think I did it well. To stay calm, I focus on other things and take a deep breath." Right from the start, Yang showed that it would be a good day for him. After securing the highest score of the first round, 31.5, he hit a brilliant 10.9 in the second. Then, he had a 1.5-point lead, but that just kept growing throughout the game. As Uzbekistan's Vadim Skorovarov, 18, hit a 9.5 to near him, Yang got back with a 10.9 and firmly held on to first place. He then easily kept runner-up Babayan at a safe distance. "I was very nervous," silver medallist Babayan said. "But I tried not to show it and focus on my shooting. Yang is very strong, but I would like to overtake him one day. I [also] would like to take part in the Olympic Games in Rio and win a gold medal." Babayan made his way to second position as he overcame Skorovarov when there just five shots left. 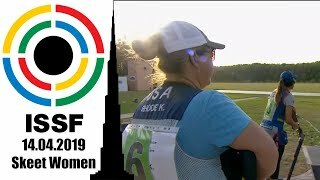 Skorovarov, a gold medallist at this year's Asian Shooting Championship, had been second and Yang's main competitor till that moment, but eventually spoiled his performance with a couple of out-of-ten hits and settled for fourth place (162.9). Bronze medallist Peni made it to the podium taking advantage of Skorovarov's blackout, but had to give up to Yang's impressive skills. "He's now the best shooter in the world, so it was really hard," Peni said. "I hoped that I could beat him, but today he was the best, absolutely." Peni will get to face Yan again at the World Championship in Granada, in less than a month. "I'm looking forward to [it]," Peni said. "I hope that there I will beat him." Olympic Silver medallist Ivana Maksimovic, who is in Nanjing as an Athlete Role Model, was in the hall for the final. She got the chance to see her fellow countryman Andrija Milovanovic in action. 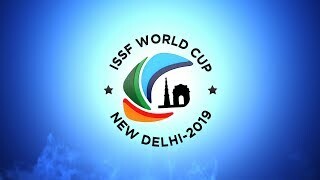 Milovanovic, 18, took fifth place (142.2) after a dramatic match, during which he went through two shoot-off duels. First, he outdid 17-year-old of Mexico Valdes Martinez (eighth, 81.1); then, 15-year-old of Italy Suppini (sixth, 122.2), the youngest finalist. Lu Shao-Chuan of Chinese Taipei, 17, came seventh (101.8). 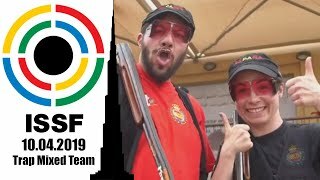 This was the fourth of six shooting events at Nanjing 2014; tomorrow there will be the 10m Air Pistol Mixed International Teams, whereas on Friday the program will end with the 10m Air Rifle Mixed International Teams. 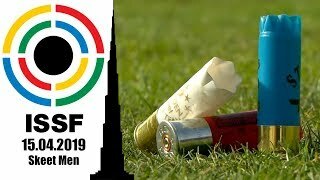 You can follow the competition on Twitter at the hashtag #YOGshooting.